It has taken me some time to develop a workstation that not only allows me to work from the comfort of home, while playing my favorite video games; but, also enjoy a bit of independence. The Quadriplegic PC Computer Setup Gaming Workstation Project ( and the new build) will hopefully motivate others to seek aid when needed to accomplish their computer setup goals. I also posted links to the equipment that I am putting together and currently using, down below. 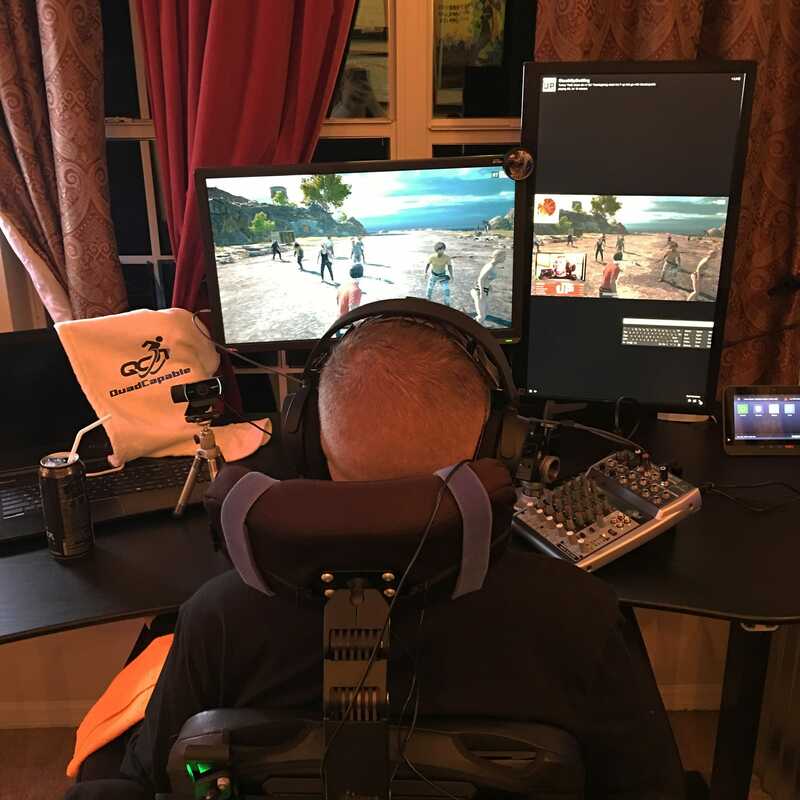 In Aprilish, 2017, I began communicating with organizations in hopes to upgrade my Quadriplegic PC Computer Setup Gaming Workstation. That PC wasn’t able to provide the performance needed for the type of activities necessary: voice recognition, gaming, streaming, working, video-rendering, photo editing, etc..
First, I reached out to the Department of Veterans Affairs assistive technology department to find out if they could satiate my needs. Upon following up, was told it had been submitted to contracting, “and awaiting approval.” So I then patiently waited for 4 to 8 weeks to confirm such approval. Never received it. Next, I sought to hopefully be sponsored and obtain a computer from another source. Gaming PC companies here in the United States. I also reached out to the Wounded Warrior Project out of Pittsburgh who told me of a charity called Stack Up. During this period, I continued to stream and do my thing with my laptop (provided by the VA) and volunteered my time to help the Stack Up organization as a game lead, along with becoming part of the Redshirt Raiders Discord. Circa October, I received a phone call from Houstongirlgotu, Orlando Stack Lead, notifying me She had a Stackup T-shirt to drop off. After several hours of small talk about everything under the sun, another knock came at the door. Two other Stack Up members Cuddles & Shadow came to my door surprisingly holding a computer. 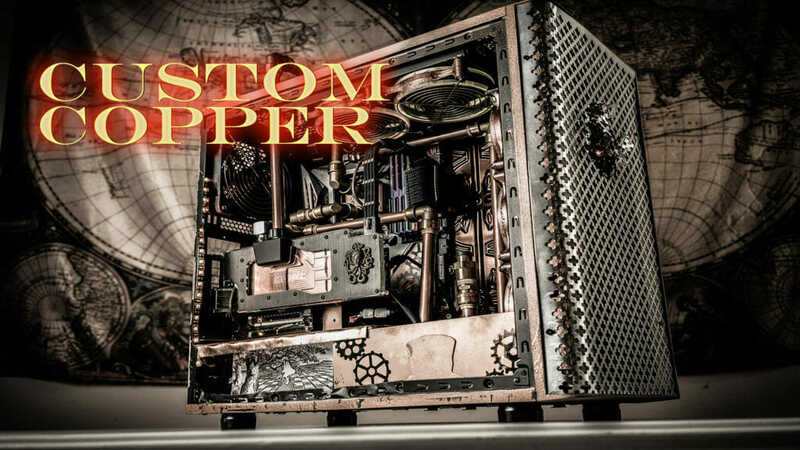 I learned later, it was a custom built PC just for me! Rigs 4 Vets is a program that I had not known about but would come to appreciate. Stack up gave me a great gaming computer that night. I have since made that PC into a stream computer after little less than two weeks later out of the blue a computer from the VA showed up (my current game PC). I believe I mentioned to Houstongirlgotu before the surprise about how many places I had gone to obtain a new computer and that they would probably, “come all at once.” Which, they kind of did. has gotten together numerous times since the upgrade. I stream regularly on my own channel, daily, twitch.tv/Quadcapable. Also through the stackupdotorg channel, Fridays 4 pm EST, in support of their mission and to contribute what I am able. I’m currently infatuated with upgrading and bettering my system. Starting to piece together a newer rig, as a Marine, always seeking the best. Luckily, I was able to find a new home for some of the components from Stack Up. Re-donating the remains to another veteran, x7sage7x. Had the chance to also use those same components with my daughter. Transferring them to a new case and detailing the work on PC Part Picker. Just remember if you want something; never stop fighting for it. You can always find good people to help you get it done. If you have questions about any of this, please let me know so I can help you too. 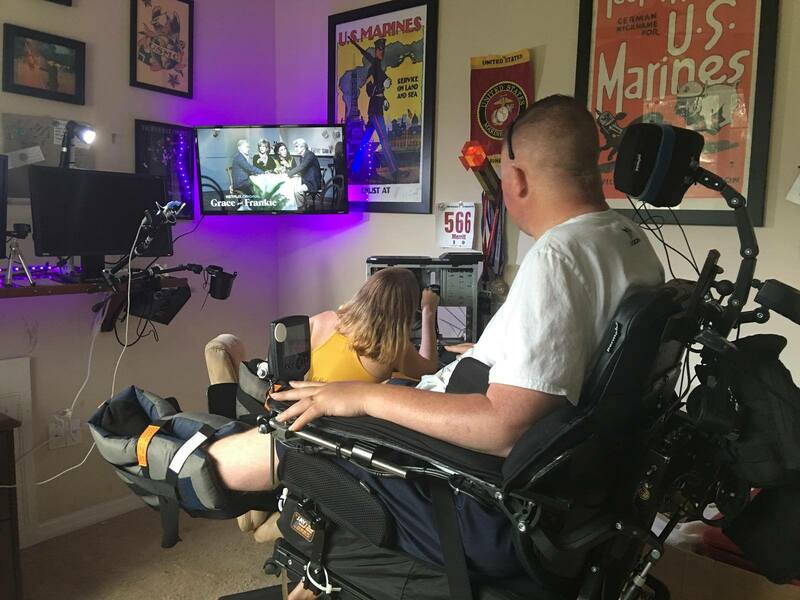 My article on Stack-up.org: Rigs 4 Vets – Quadcapable gets an Upgrade! Cant use your hands? Check this out!